Last night, McCann Worldgroup employees gathered for a special Thursdays@5 to honor the cultures of the 5 cities/regions being spotlighted for the Global Diversity Coalition’s 3rd Cultural Spotlight Week—Sydney, Australia; Johannesburg, South Africa; New Jersey; Manchester, U.K.; and Mexico City, Mexico. Before diving into the evening’s festivities, attendees were serenaded by a curated music playlist, and were able to view all the amazing social media video content that the 5 cities had created. To start off the event, Singleton Beato, MW’s Chief Diversity & Engagement Officer, and Nannette Dufour, MW President, Global Clients & Business Leadership, spoke about the importance of diversity in driving creativity, both within McCann Worldgroup and across the advertising industry as a whole. Nannette placed special emphasis on “bringing your whole self to work,” noting that creating an environment that fosters that attitude results in better work for our clients. 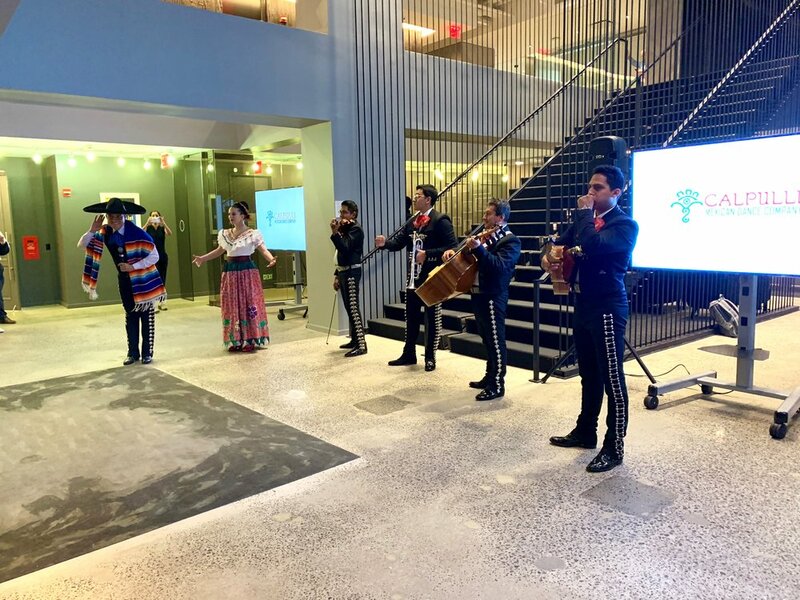 The highlight of the event was a traditional Mexican mariachi band and dance performance by the Calpulli Mexican Dance Company. The group performed three songs, and then pulled up some members of the audience for a little crowd participation. After the performance, we indulged in traditional foods and beverages from the spotlighted regions, including chilaquiles (my personal favorite) and tres leches cake (a close second). It was an incredible night and I loved learning about the various cultures! I am looking forward to the next Spotlight Week, slated for the spring of 2019.